Morris County Home Insulation Contractors...and Beyond! 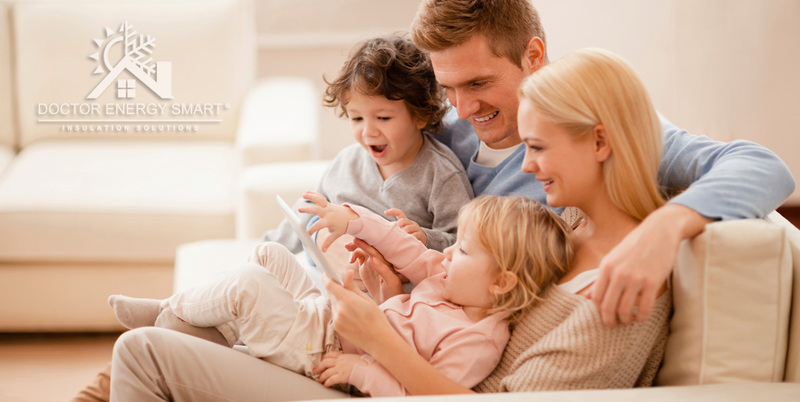 Doctor Energy Smart is a family-owned and operated local spray foam insulation contractor based in Dover, NJ. Strategically located in North Central New Jersey we proudly serve all of New Jersey, parts of New York and Pennsylvania. We are a fully insured, highly experienced, Angie's List Super Service Award Winning (multiple consecutive years) insulation company focused on helping people by offering solutions that work for years to come! NJ Home Improvement State Registration #13VH05427600. Our goal is to become your trusted local spray foam insulation contractor . Whether you are a concerned homeowner or a hardworking general contractor we will do everything in our power to help you with your project. Just imagine how much money you could be saving if your heated air did not escape from your home in the winter and your conditioned air stuck around much longer. Just think about how much less work your heating and cooling systems would need to do if you helped them by properly insulating your home with products that work! Now this is what we call smart investing. Upgrade your insulation and enjoy the savings of lower heating and cooling bills all year long. If you have any questions regarding our services, would like a price quote or need to schedule a thermal scan of your home or office please call or email us by clicking here. As a family company, we work very hard everyday to help people like us with their insulation needs so they can save more of their hard earned money. Please take a few minutes and check out our reviews on Google, Facebook, Yelp, and Angie's List. Uneven temperature throughout your home? Is your heating or cooling system just not keeping up? We can fix that! 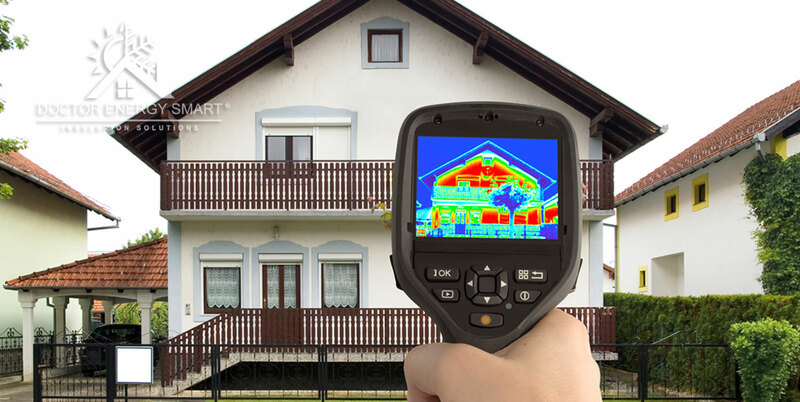 Call us today to schedule a comprehensive thermal imaging of your home and allow us to show you how we can make your home comfortable and energy efficient. Did you know that we can insulate your cold walls without taking down the sheet rock? No need to suffer through living with cold rooms because you don’t want to live in a construction zone. Whether your walls have no insulation at all or the old stuff has just fallen down and turned into dust we can help. 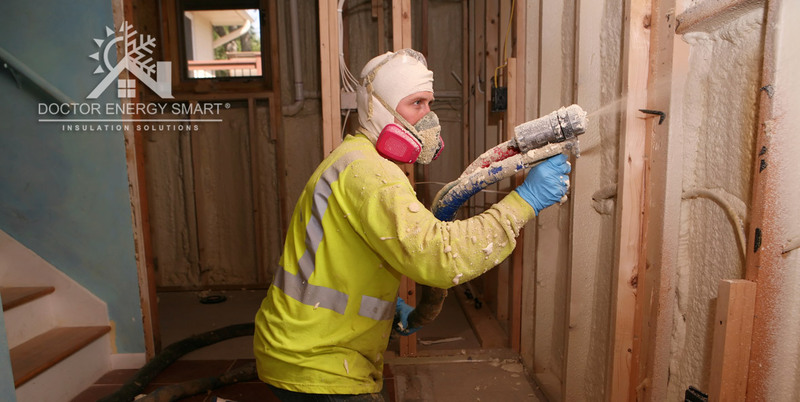 By drilling strategically placed holes, about the size of a dime, we can inject low-pressure spray foam into your walls and improve the comfort and efficiency of your home. The best thermal protection on the planet! Ever wonder why all refrigerators are insulated with foam? Or why all the coolers on earth are made out of foam? Or why the thinnest styrofoam coffee cup can keep you from burning your fingers? Because foam is the best! Polyurethane spray foam completely separates two environments, much like the styrofoam cup keeps the heat of the coffee on the inside of your cup while keeping your fingers safe at normal temperature. Now imagine what would happen if you put spray foam in the walls, ceiling or floor of your home. I’ll tell you what happens, you can heat or cool your home or office without mother nature’s interference. Spray foam gets sprayed onto surfaces as liquid and turns into foam during installation, permanently attaching to your structure, filling all the gaps and creating an air tight seal. Meet our second best solution for insulating attics! 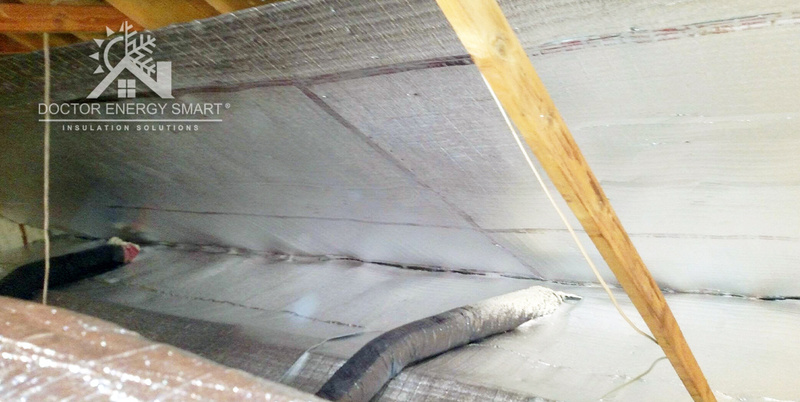 Radiant barrier insulation is a combination of foil and polyethylene foam. While it can be used to insulate any part of the home it is most beneficial in insulating attics. Regardless of whether or not your attic is vented, this option will provide a great way to ensure your heated air stays in your home instead of rising into the sky in the winter, while your conditioned air stays cool longer during the summer heat. Do you love your condo but hate hearing your neighbors' kids and dogs? Would you like to relax in your home without hearing someone else's TV or Music? Are the ducts and pipes in your walls making too much noise? Or do you live next to a noisy street? If you answered yes to any of the above questions then pick up your phone and call us now! Your home should be a sanctuary where you can rest and relax before you face another day. Allow us to soundproof your walls and help you enjoy the quiet! Did you know that we can soundproof without having to "tear down those walls"? We live in a new construction condo in Jersey city and were unhappy with the our cold walls and the ambient noise from the street. I really didn't know how much of a difference the spray foam insulation would make, but we decided to give it a shot. Needless to say it has made a remarkable difference in our condo! We have a spilt level living arrangement and the lower level is now 5 -10 degrees warmer during the winter without touching the thermostat. It's also much quieter. Jon and his team were considerate and straight forward. It is definitely an investment in our comfort that I would not hesitate to make again. We were having problems with ice daming on our roof. John found many issues with our house that we were unaware of. John was very helpful in creating correct air movement through our attic . He even suggested things outside the house like gutter reconfiguration because we had large ice dams. John and his crew were very friendly and professional and easy to work with. Dr energy smart was there when I needed them. They addressed an area under my hot tub which had frozen pipes and no access. Using spray foam insulation they were able to address the issue permanently and protect my home from future issues. I live in an apartment in a high rise condo in Jersey City. I reached out to Doctor Energy Smart to help with sound proofing the wall I shared with my neighbor. I could hear through the walls: their children yelling & crying, muffled talking, TV, etc. 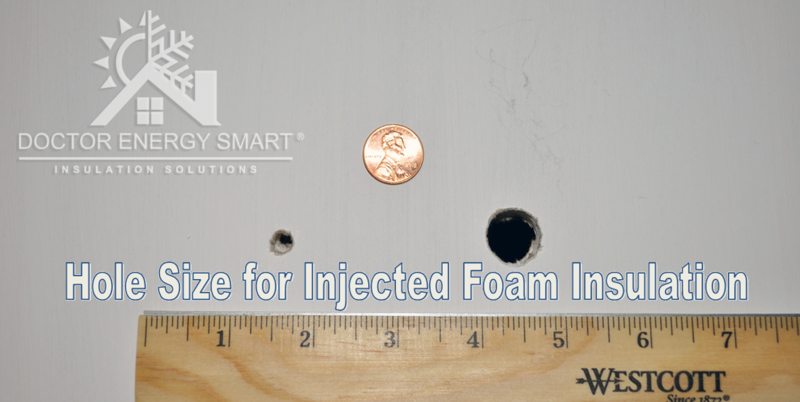 We had injection foam installed into the walls and it was a great investment. It's been almost 2 weeks and I haven't heard anything through the walls. John was extremely helpful, polite and knowledgeable. Great results and installation was quick. We had Doctor Energy Smart come in to spray our basement to help with our basement waterproofing and are glad we did. Very knowledgeable and great to work with- will recommend them happily! These people won us over with their great attic insulation that we could not find elsewhere. Our attic has cooled by about 30 degrees and our upstairs bedrooms are much more cooler! We plan to have them come back to spray foam our basement in the near future! We found these folks on Angie's List with the best reviews. Great Customer Service and especially results. Our children's bedrooms got very cold in winter, and hot in summer. They injected foam into the walls and the current heat difference is very noticeable. Thanks John for your help! We hired John due to the many great online reviews we found because it seemed to be the best way to predict the outcome we wanted when we decided to spray foam our attic space. His team was friendly, on-time and the job looks great! One thing we really liked was the point they make about buying foam chemicals directly before each job they do. We like fresh foam! Great company! It was refreshing to have a contractor that pays attention to detail and they created a feel change we definitely can notice in our bedrooms. No problem recommending them to our family and friends! Our 100 year old home needed a sort of air sealing because our heating and air conditioning systems just couldn't keep up with our desired comfort levels. John used his thermal x-ray camera and provided the change that we needed. Very happy with our purchase. Georgia D. & Louise M.
We had gotten a few spray foam quotes for our crawlspace but chose Doctor energysmart because they promised to use foam bought within a week of our task. It just made sense to use them because of this. They were a little more expensive but we know our foam is a higher quality. Would recommend them, they were a family business and all were great stat to finish! We had DoctorEnergy Smart install foam inside our kitchen walls under the sink and cabinets because last winter our pipes burst during a cold spell in January. Their Google reviews showed us who to hire, noon else came close to them. ThankYou John for addressing this in a way that made the most sense to us! We had John spray our 44th floor exterior walls on the upper east side during our remodeling because a spray foam truck could not reach our floor and we wanted better protection in our exterior walls. Great service -He brought large tanks up our service elevator and his work was thorough! We would recommend them to our friends! We found the Doctor Energy Smart company on Angie's List and see why they have the best review rating. We had our small cape cod walls injected and the outside noise level difference feels like we are now living in a vaccuum! The house feels very even tempered, currently we have been able to turn down our AC unit with easy to live with comfort levels. They are scheduled to come back in winter to do a follow up thermal audit to tighten the house up if needed. Reviews matter! We had John come in and inject foam into our midtown high-rise apartment because we have noisy neighbors it seems to work , we thank him very much for this great service. I hired John to inject foam into the loud street side walls of my condo, instead of demolishing those walls to provide soundproofing. His process meant I didn't have to make a week-long mess, the results are great! He even found a way to get the windows tightened up and my ac/heat system was sealed correctly, all adding up to a much lower priced job than the other companies offered me, with the result I wanted!